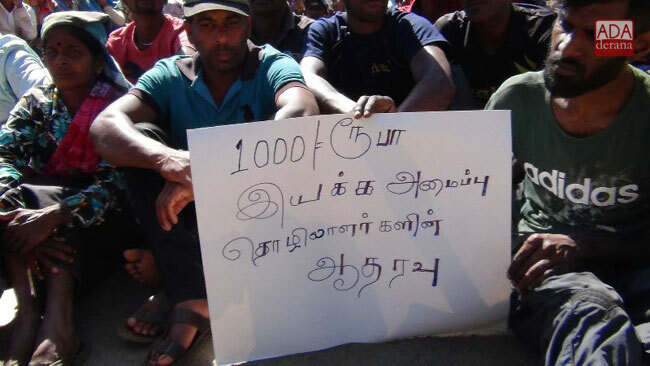 Estate workers have today (23) launched a strike action demanding the promised increase in their daily basic wage up to Rs 1000. 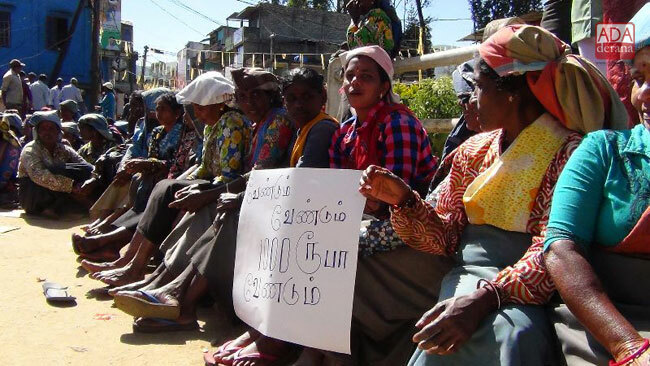 Accordingly, the estate workers of Hatton, Bogawantalawa police divisions had protested on the main roads while carrying black flags. As the trade union leaders had not increased their daily basic wage to Rs 1000 as promised, they had to resort to a strike action again, said the protesting estate workers. Discussions were held between the government, estate owners and the joint estate trade unions on several occasions in this regard, and the estate owners had emphasized that the current daily basic wage of an estate worker could be increased from Rs 530 to Rs 600 at the moment and within three years it could be increased to Rs 675. The joint trade unions had objected this suggestion of the estate owners. 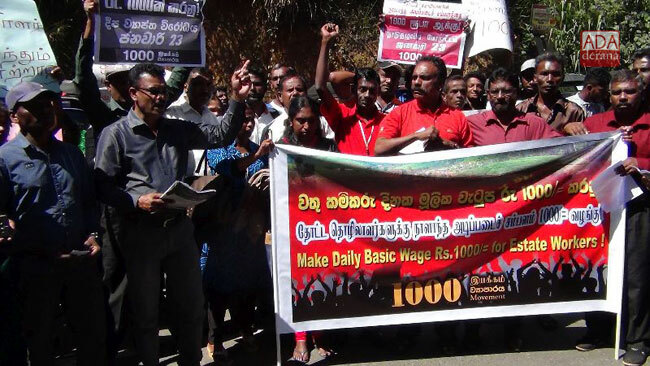 Another group of estate workers had carried out a protest in front of the clock tower in Matale this morning (23). 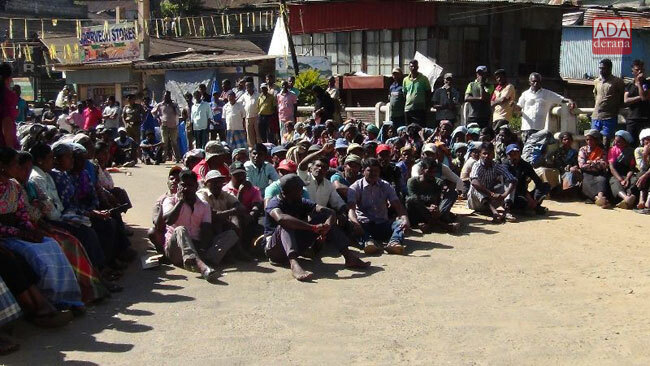 The protestors stated, their current daily basic wage is insufficient for their livelihood and they urge the government to increase their daily basic wage in comparison to the hike in living cost.